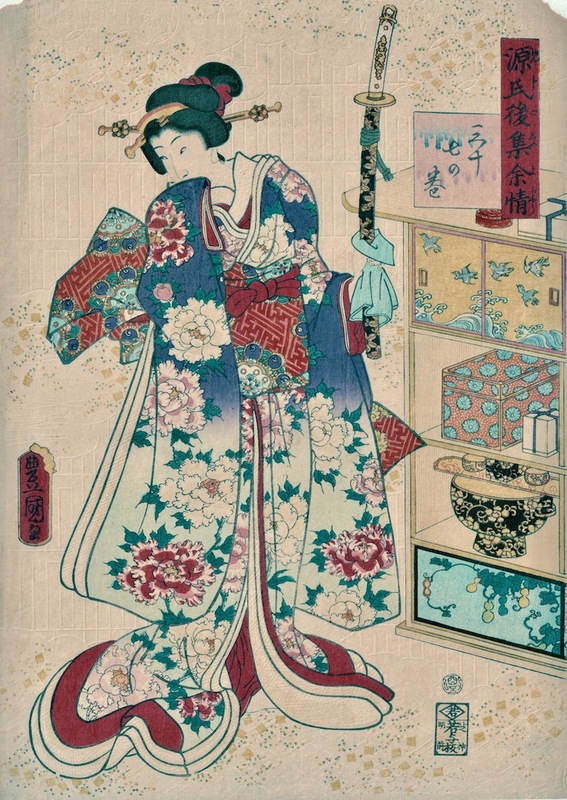 Utagawa Kunisada/Toyokuni III (1786-1865) Yokobue (flute) volume 37, from Fifty-four Chapters of the Tale of the Genji, 1861. Deluxe oban. 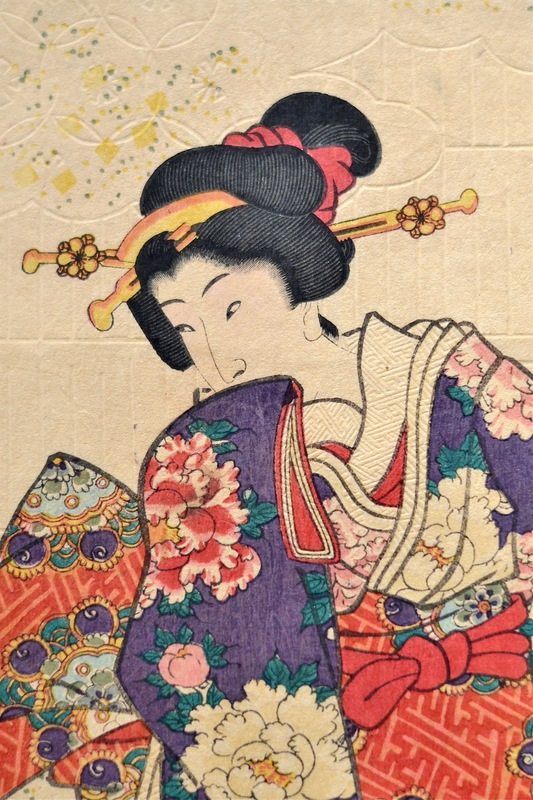 It is worthy of mention since I have rarely seen such lavish production qualities in an Edo era print. The surface and background of the print is riven with blind embossing and scattered with pigment; the rich paper and the extraordinary quality of the block cutting; the bokashi shading and the outstanding brilliance of the pigments all contribute to a feeling of great luxury and expense. It is a quite stunning woodblock print, delicately drawn and composed, and rich in pattern and decoration, from the peonies on the kimono to the patterned sliding doors of the standing shelves on the right. Chapter 37 relates Genji’s sadness at his lack of proficiency at playing the flute. The iconography in the print is too obscure to interpret. This series was issued in pairs of prints, although they were available singly, this being the second sheet of chapter 37. It is very fine indeed. Colour impression and condition are all exceptional aside from some slight damage to the upper left and right hand corners.